Pastor Kirby John Caldwell’s imprint on the body of Christ and the city of Houston is too big to categorize into one sentence. The Mega-Church preacher, and successful business owner/investor is in for the fight of his professional career after very serious charges have him battling for his freedom and reputation. 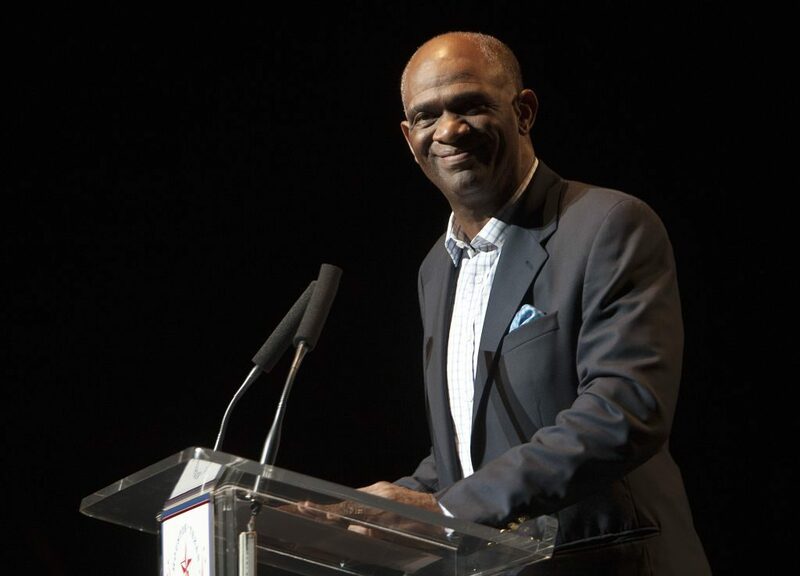 Days after allegations of wire fraud rocked the Windsor Village Church, Pastor Kirbyjon Caldwell used Easter service as a way to tell his congregation that he was not guilty of defrauding investors of over a million dollars. Caldwell called them a “painful pitstop” on his road to the Promised Land. “As you know I’ve been in the news lately,” Pastor Kirbyjon Caldwell said Sunday to his congregation. “From my mouth to your ears, I am not guilty,” Caldwell said. His congregation is standing by him. A day after he was indicted on multiple counts of wire fraud and one count of money laundering, Kirbyjon Caldwell told ABC 13 Houston that the bonds he sold were legit and that he invested a large amount of his own money in the deal, even personally refunding nearly $1 million to anyone who was not satisfied. The initial complaint brought forth by investors claimed that Caldwell used funds from the bonds to bolster the school he owns, and to upgrade his lifestyle with personal luxuries. Those standing by the Pastor, insist that he kept his personal business dealings completely separate from his church congregation’s finances. Caldwell stated that he never brought his partner into Windsor Village nor did he give any of the bonds to his parishioners. All of the bonds were sold in Louisiana. Caldwell and the other man named in the affidavit, Gregory Smith, face up to 30 years in prison and a $1 million fine if convicted. Caldwell is a founding investor in the Houston Texans NFL football team and is listed as a limited partner. He also served as spiritual advisor to President George Bush, and officiated over the wedding ceremony of his daughter Jenna Bush. This entry was posted in Blogs, World News and tagged case, Dan Cogdell, fraud, Gregory Smith, Kingdom Builders Center, Pastor Kirby John Caldwell, Windsor Village by Kris Patrick. Bookmark the permalink.